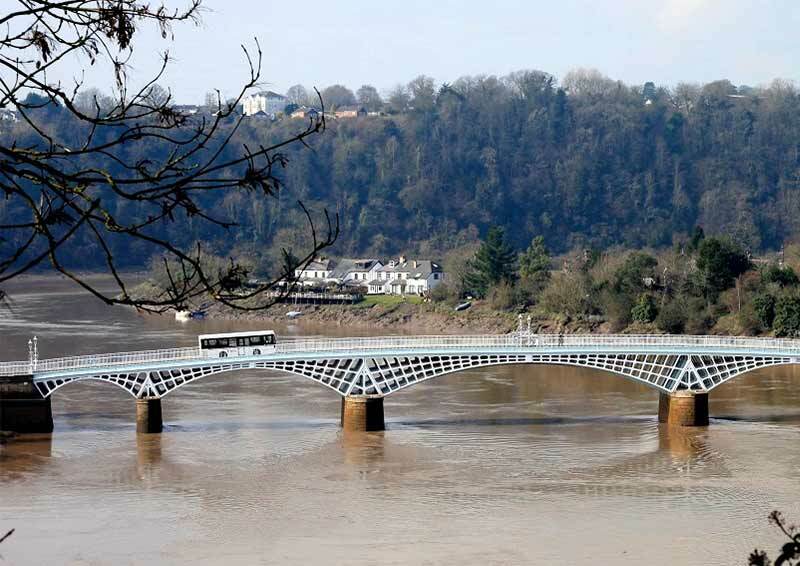 Speaker: John Burrows, an expert on the Chepstow Bridge and its place in engineering history. The main road bridge between England and South Wales for over 700 years was at Chepstow - first the bridge by Chepstow Castle from 1200 to 1966 and then the Severn Bridge from 1966 to 1996. 200 years ago on 24 July 1816 an elegant new 5 arch iron road bridge was opened to replace the old wooden bridge across the River Wye at Chepstow - and this bridge is still in use today for light traffic. Chepstow Bridge of 1816 is now the world's largest iron arch road bridge from the first 50 years of iron construction in world history (1780-1830). It is a piece of world engineering history and the engineers involved in making it happen included three of the most famous engineers of their day.